Right through 2012 I tried to take a photograph every day. If I missed a day I didn’t stress about it, I just took an extra photo the next day (usually of something that would have been the same the day before). 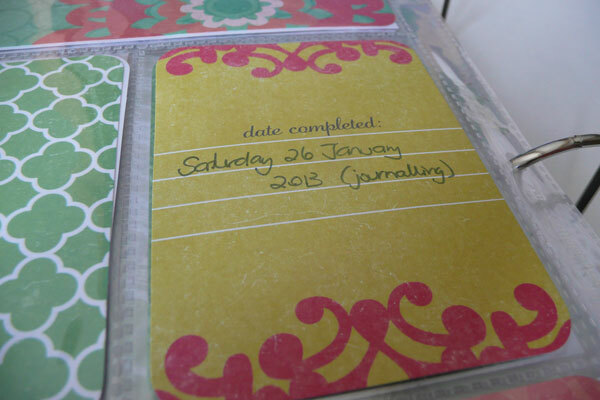 This is the title page – the easiest to complete because it was a simple “fill the slot” page, and all the components came in the Project Life Amber Edition kit. I’d purchased this in late 2010, but didn’t use it for 2011 as I took a break from the photo-a-day thing. 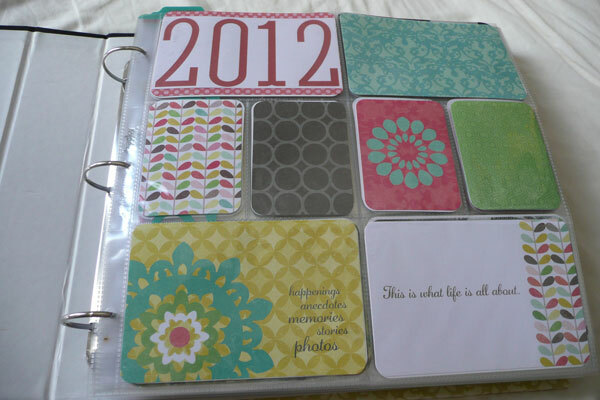 Through the year I placed the photos (7 for every week) into the slots in the divided page protectors, and filled the other slots with journalling and bits and pieces I picked up. I was still going strong in August. My routine was to sort out the week’s photos on Sunday evening, and then print them out in draft quality on plain paper. 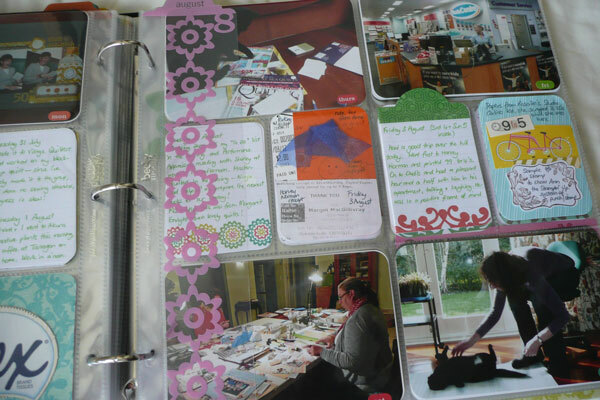 On Monday night I’d complete each week’s spread, slotting in the images and writing about the events of the week, using the collected ‘ephemera’ from my handbag, mailbox and recycling bin to create mini collages for any slots left over. Every couple of months I would take advantage of a printing special at Harvey Norman and get the images printed, slotting the photos in place of the paper place-holders. I kept up with that routine until mid-September, when I started getting behind. I did a big catch-up at Stamp Camp in early November, but the rest of the album had to wait until this weekend to be finished. This year I am continuing to take a photo every day, but I will return to the format I used in 2010 when I create my album. Two prompts to cover today as I missed out on blogging time yesterday. #5 was to think about the passage of time, and to look back or forward from the present moment while looking for today’s learning. I actually did both! 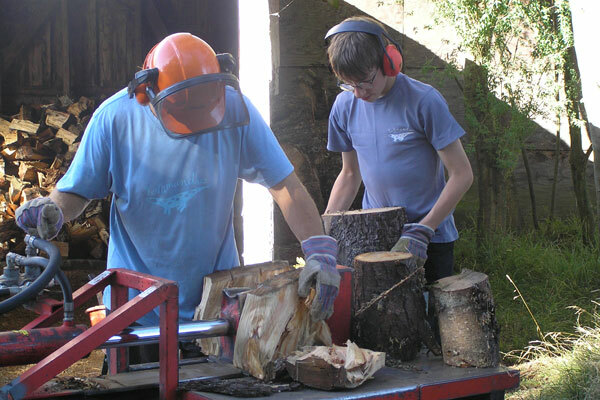 March 2006 – Ed and Richard processing the timber from pines we had cut down. 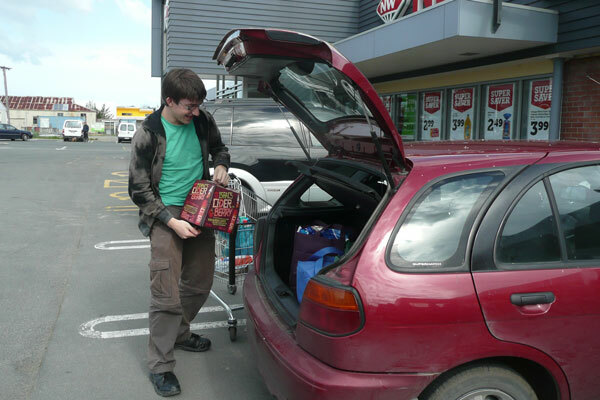 It’s just possible that the chance to influence purchasing decisions may have provided some incentive to lend a hand (and caused the grin on Ed’s face)! 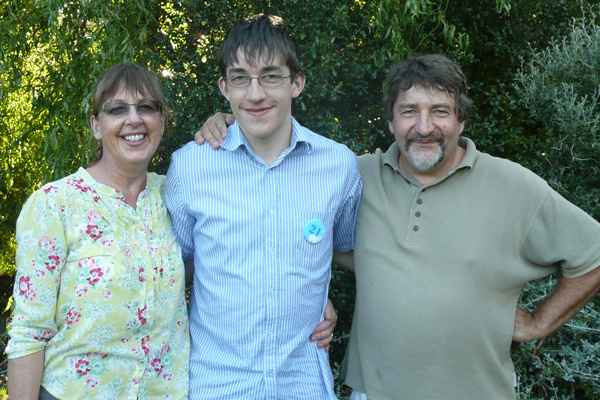 My learning for today – that we have been fortunate to have had Ed around to help with work on the property and business over the past six (and more) years; but the time is fast approaching when we’ll need to find other ways to manage the work flow. #6 was to consider the things we are grateful for – big things and small. I have always been keen to approach life with “an attitude of gratitude” – but I realise that the short lists that I used to note at the bottom of my daily journal pages (three or four things I was thankful for from the day) haven’t figured for many months. I’m not sure why. My learning for today: I want to resurrect that habit, and I’m going to start tonight. 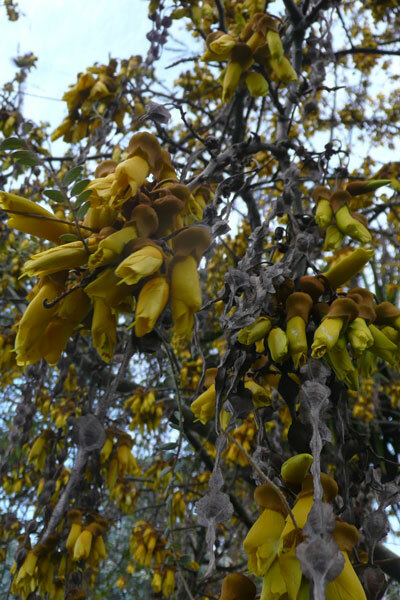 Among the things I’m grateful for today are spring flowers – I love seeing the kowhai flowering and hearing the song of the tuis that flock to enjoy the nectar. 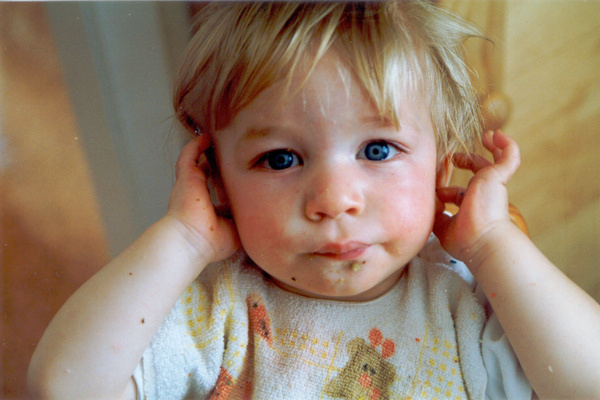 This blue-eyed cutie is Edward on his first birthday, way back in March 1992. Time sure speeds along, so much faster than I ever thought possible. I have forgotten so much about Ed’s early years and I can never go back and recapture the memories. I am thankful for photographs and the recall of others, but how I wish I had written down more of the stories of his toddlerhood and primary school years to go with the photographs I have – and for all the daily events for which there are no pictures at all. 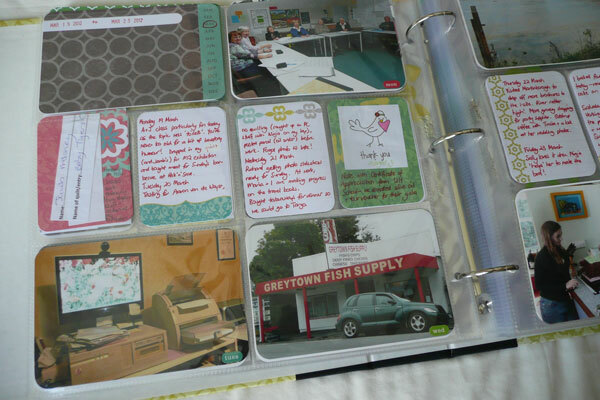 I am so glad I have diaries from 2002, and that I have made scrapbook pages documenting our lives from then onwards. The stories are as important as the photographs – so if you are hesitant about writing things down, please don’t be! 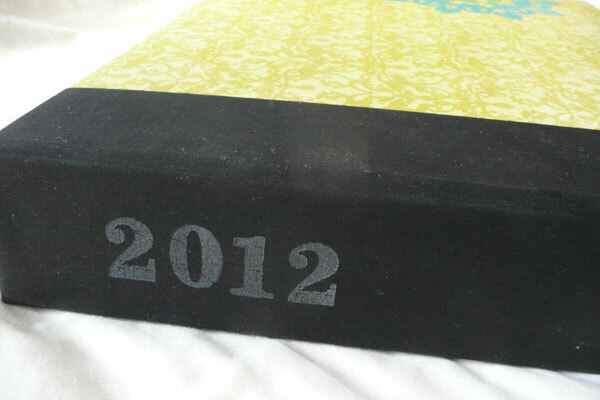 Do it – either in a physical diary or using an on-line service such as OhLifeI or DailyDiary. Make notes on your calendar, scribble in a notebook – but please help your memory out, because in 20 years you won’t remember the things you wish you did.